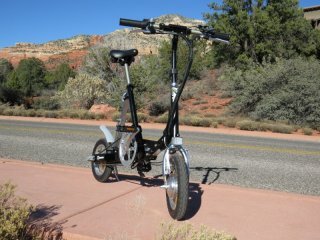 Do you want a small, foldable, and lightweight electric bike that can go with you almost anywhere? If so, then you should definitely checkout the VeloMini line of electric bikes! VeloMini electric bikes are all about delivering a traditional electric bike ride with the convenience of ultra portability. 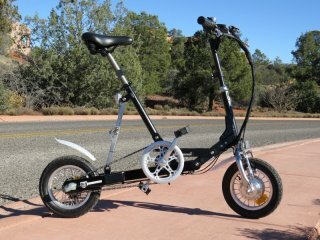 Maybe you need a small, foldable, and lightweight e-bike for your first/last mile commute with mass transit or an e-bike that can go with you into your house, apartment, workplace, car, boat, RV, etc. The VeloMini 3 speed electric bike is a highly portable electric bike that can fold to a compact size and it weighs a mere 36 lbs. It can be a great solution for the first/last mile commute when combined with mass transit or for getting around a school or large business campus. It’s compact size also makes it handy for storing in your house / apartment / workplace / school / car / RV / boat, etc.